Microsoft launched it's new Surface Tablet yesterday in Los Angeles. Microsoft says this device as reimagining of the tablets. The deviec has been said to come in two versions - one running Windows RT and one running Windows 8 Pro, but nothing has been said about the price of this new tablet. As the device as new, and we don't know how this will run, we can only speculate. From the design view, we can say that this tablet is certainly going to be a winner. The touch cover keypad is really an innovation, which has not been seen in any product till date. The major attraction in the apps was the Netflix application that have been shown running on the device. As more will be coming from Microsoft we'll keep you posted. So you can click here to keep posted and in the meantime here's a small poll below, and if you have some question that you think have not been mentioned here, you can add that in our official poll. Still if you have something to say that can't be expressed in this poll, just go down and let us know about Surface in comments. 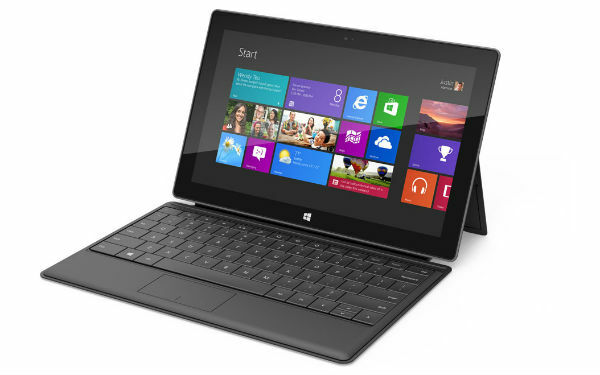 Microsoft Surface: Do You Want One? I guess surface can compete other products in market, it really got the stuff that is required for a winner.